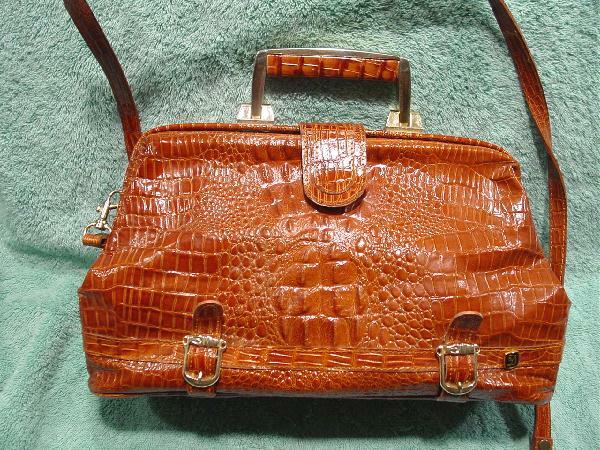 This faux leather purse has a doctor's bag styling and embossed crocodile pattern in a dark caramel color. It has a coppery-golden brown synthetic fabric lining with an interior large zippered pocket. There is a white spot on the lining. 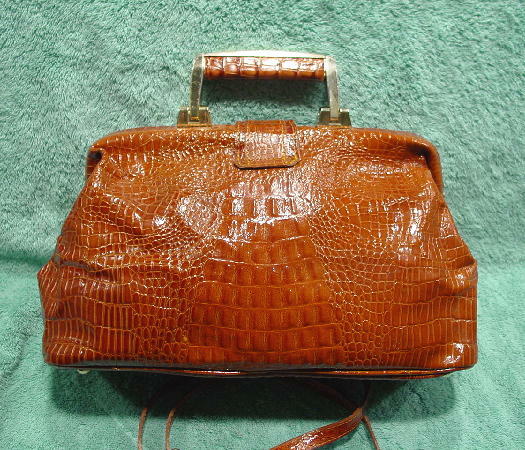 It has a gold-tone handle with a croc pattern insert and detachable 42" by 1/2" shoulder strap. There are two decorative buckles on the front bottom with a gold-tone D on a black decorative ornament. It has a small strap with a hidden magnetic snap closure. 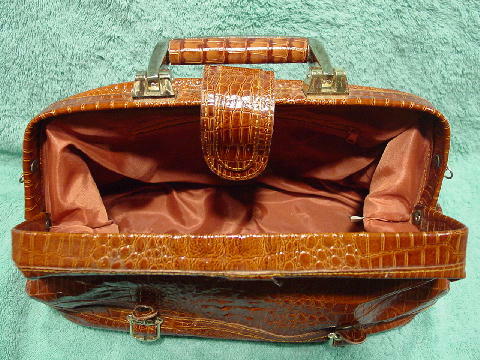 The bottom has 4 little gold-tone feet, and there is some color missing on some of the croc pattern on the bottom.